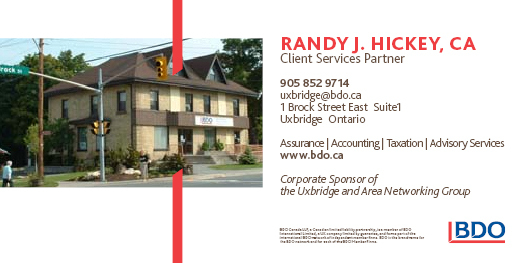 www.UXBRIDGE.com website is owned & operated by Uxbridge On-Line Inc., since 1996. The website was last modified on September 1, 2018 1:51 AM . Join the UXBRIDGE ONTARIO LinkedIn Group and meet over 400 local professionals. of the "Uxbridge Ontario" LinkedIn Group. To advertise your business or 2018 Events on www.uxbridge.com website, please contact Annie Hardock of Uxbridge On-Line Inc.
RSVP Annie Hardock for an introductory meeting. 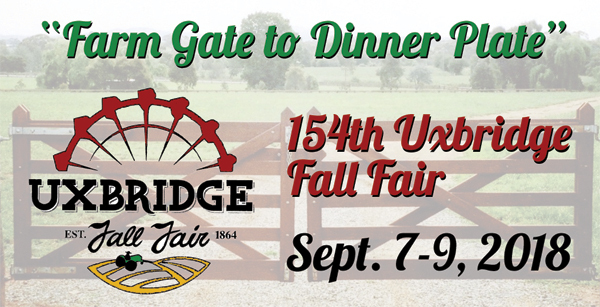 Visit the UNG booth inside the Red Barn in Elgin Park at the Uxbridge Fall Fair. Pickup a copy of the Networking magazine for a chance to win free draw prizes sponsored by UNG members. Looking for an Up-to-Date Uxbridge Online Business Directory? unfolds the unique historical past of Uxbridge Township where the well known Canadian author Lucy Maud Montgomery once lived (1911-1926). A wealth of township history, heritage and genealogy information is provided by the Uxbridge Historical Centre (former Uxbridge-Scott Museum). A picturesque town where many of the outdoor scenes from movies and TV series were filmed, including the popular Canadian TV series "Road to Avonlea". www.uxbridge.com website is owned & operated by Uxbridge On-Line Inc. Unauthorized use of any content or graphic images taken from the www.uxbridge.com website is unethical. All content and images on www.uxbridge.com are the properties of Uxbridge On-Line Inc.©1996-2010. All Rights Reserved. Annie Hardock of Uxbridge On-Line Inc. via e-mail: online@uxbridge.com; or tel: 905-852-6686. Graphic images of Santa on www.uxbridge.com were created by Kevin Frank for Uxbridge On-Line Inc.. All rights reserved.